I have read all the Beatrix Potter stories to the children at bedtime. Some more often than others. Certain tales were as delightful and easy to read as well paced poems (Jeremy Fisher); others were a vicious, verbal obstacle course for a very tired reader to stumble over and I used to hide them behind other books (The Pie and the Patty Pan, anyone?) So the boys and I absolutely charmed when we visited Potter’s Hill Top Farm run by the National Trust for, instead of a worthy guide book, we were given copies of “The Tale of Samuel Whiskers”. (This was the boys’ favourite though I found Tom Kitten’s close shave quite unnerving.) We were instructed to search the house for the exact places Potter had drawn for the book. Well done the National Trust for thinking of such a thing! 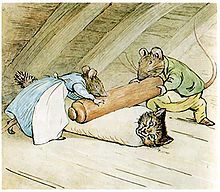 The boys were entranced to find the VERY skirting board, the stairs etc from her watercolours and trace the story of the enormous, old, thieving rat, and the ever resourceful Maria, around the house. Be warned Hill Top Farm is extremely popular and entry is by timed ticket only. Allow plenty of time of park – because there’s not much of it and it’s a walk from the site. Click here for the official site. Categories: Arts, Children, Lake District Writers, Things To Do | Tags: Beatrix Potter, local attractions, National Trust | Permalink. Swimming in a river or lake IS different. It doesn’t taste of chlorine for a start. And isn’t crowded. The water has a smooth soft quality that slides around your skin. I only swim on hot Summer days. The water coming off the mountain tops is still much colder than you think. Even in August. 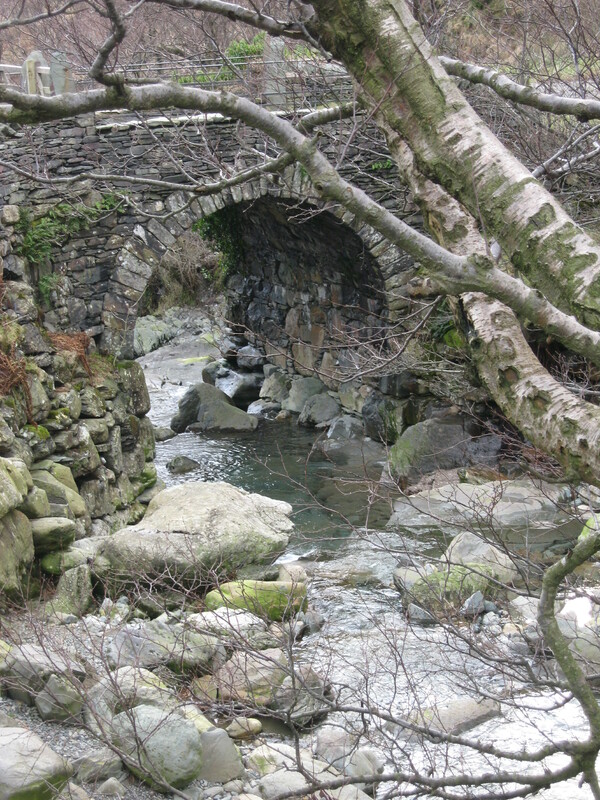 But there are many places up the Duddon for a dip or a paddle – and then a leisurely recovery on a hot, flat stone. I take old sandals to paddle into the water as pebbles can be sharp under foot. Crocs or flip flops disappear surprisingly fast on the current. Okay, you will need a wet suit and more stamina than I have: but how about attempting the Great North Swim on Windermere? This is now the UK’s biggest open water swimming festival and happens in June every year. Follow this link if you would like more details about it. Categories: Duddon, Lake District Nature, Things To Do, Uncategorized | Tags: children's activities, Duddon, wild swimming | Permalink. The distinctive look of Lake District fells, ribbons of stone walls and treeless slopes, has largely been created by Herdwick sheep. The animal has been part of the landscape for centuries and there are now many products you can take home with you to celebrate this hardy breed and to remember your stay at our cottage. If you pop into Melville’s in Broughton-in-Furness, you can pick up one of our favourite local products: a beautiful Original Cumbrian Wool throw. These are woven from undyed Duddon valley fleeces and would be a unique memento of your holiday. 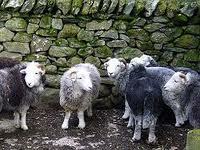 A link to the Original Cumbrian Wool website is here if you would like further details. They sell yarn and fabric as well as finished products. Categories: Broughton, Duddon, Lake District Crafts, Local Crafts | Tags: Duddon, Herwick sheep, locally made | Permalink. Tarn Hows is another favourite walk of ours – particularly when we have friends with pushchairs or just want to “walk and talk” instead of concentrating on finding the next sheep track, as it’s a stunningly pretty round walk on smooth paths with plenty of benches along the way. The place is owned by the National Trust, has a well managed car park – and possibly an ice cream van in high season. They even have a couple of those nifty Tramper scooters giving people who are less mobile a chance to roam a little. 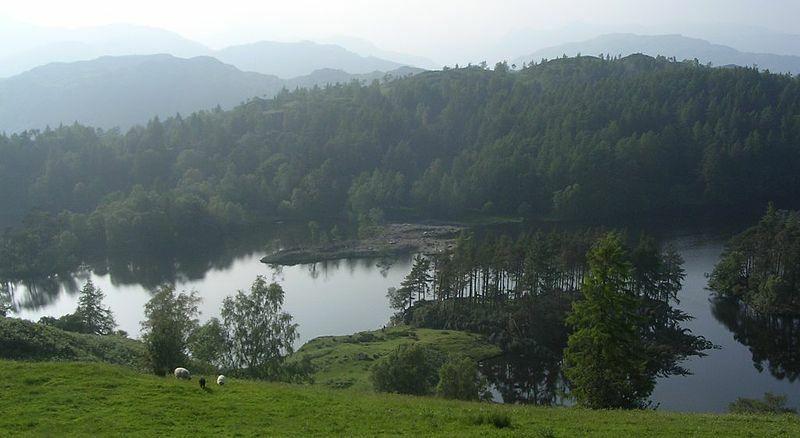 So, if you are staying at Sykehouse Cottage and fancy a stroll rather than a hike, Tarn Hows is the place for you. It’s only 25 minutes from Broughton in Furness, past Coniston Water. For all its natural beauty, the tarn is artificial. It was created in the mid C19th by the owner out of three much smaller, boggier pools. He also landscaped the area, building the footpaths and planting the magnificent, non-native trees such as the Giant Sequoia which give the place a rather Scottish feel. Tarn Hows was designated a Site of Special Scientific Interest in 1965 with red squirrels, Herdwick sheep, both red and roe deer and Daubenton’s (or water) bats living in the area. Tarn Hows is open dawn to dusk all year round. Further details can be found on the National Trust website here. Categories: Children, Coniston, National Trust, Things To Do, Walking | Tags: children's activities, Coniston, local attractions, walking | Permalink.